The Twins are facing the most pivotal offseason they've had in ... well, maybe ever. They have a team still young and on the verge of taking a next step, and they have unprecedented payroll room – maybe as much as $60 million – to help that team take that next step. 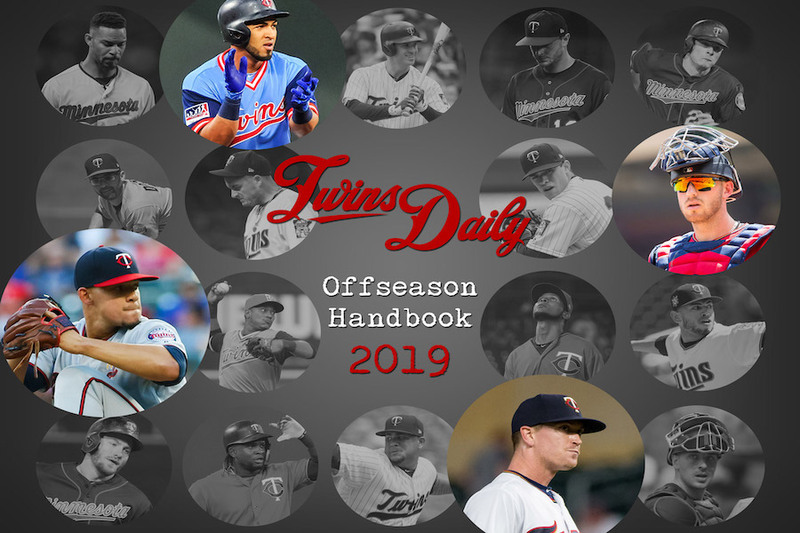 The ninth annual Twins Daily Offseason Handbook will help you chart the decisions the team will be making to get ready for the 2019 season you can preorder now and receive it as soon as the World Series ends. Last year over 1,000 readers downloaded the Handbook to get a jump on the offseason. This year, we'll release it following the last out of the World Series. You can preorder now for whatever you think is fair (including zero, but recommended donation is $10), and you'll get it delivered to your inbox as soon as the Fall Classic concludes. The Handbook includes everything you would need to know to rebuild the Twins into a championship contender. We'll break down the payroll and salaries, so you'll know how much you have to spend. We'll list free agent targets and trade options. We'll review the arbitration decisions you need to make. We'll give our opinions on blueprints the team could follow, and you'll have a place to show your own vision. Still not sure? You can download last year's here. We're sure you're going to love it, so preorder it right now. At Twins Daily, the offseason can be as much fun as the regular season. Just ordered...now, how long until March 28th? I was more rhetorical than anything, but I appreciate not having to do the math. It's like a National Holiday. I even have a yearly calendar reminder on my phone . I know, but i was curious. Thanks for all the hard work getting this ready. It's like Christmas in October when I receive my copy. I download and copy my issue, tell my receptionist to hold my calls and reschedule my afternoon appointments, because I have some serious legal research to do the rest of the afternoon. I pop a bag of popcorn, grab a cold Dr. Pepper, I turn Pandora to some soothing jazz, and close the door to my office Then the fun begins, reading it cover to cover. One of the best days of the year for this North Carolina Twins fan. Note to TD readers...I am not exaggerating here. I refuse to pay for any Internet news site. I hope TD never needs to go the pay route, but this site is awesome and makes being a fan much more fun, so I'm making an exception for the Handbook. I've placed my order, with payment, and look forward to the reading. Think my boss will notice that I have "Meeting -- Thad and Derek" on my calendar and all of next Friday morning is blocked out? If we ever offer a pay model, it will not be mandatory. It would be a subscription model more like Fangraphs (added perks and downloads, ad-free, that kind of thing) than The Athletic (pay or don't read).